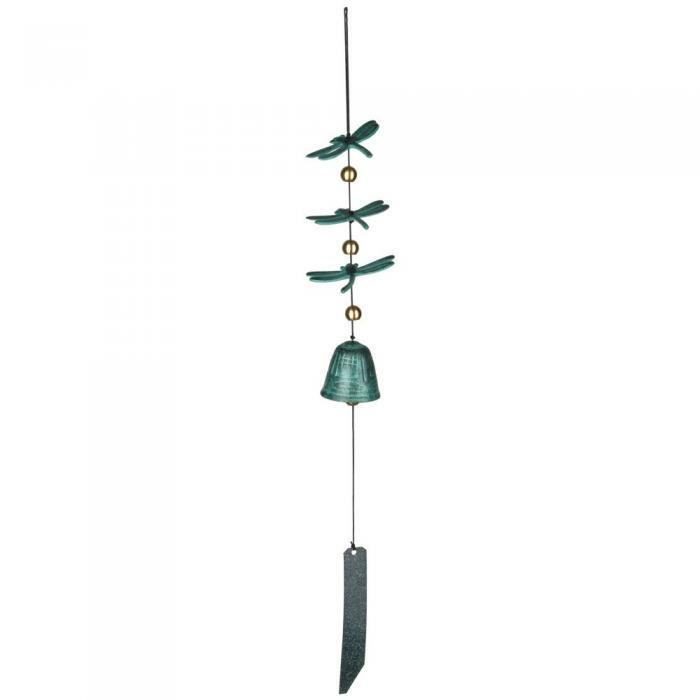 This traditional windbell has clever dragonfly & bead accents. This beautiful wind bell is made of cast metal with a verdigris finish. From butterflies to blue whales, the earth teems with life. Areas that sustain life are called habitats, and each habitat is part of an interconnected system that makes the richness of our life on Earth possible. Our Woodstock Habitats series celebrates the variety of nature around us. Made of cast metal, these designs incorporate some of our favorite animals and other reminders of nature which can enhance your habitat. •Verdigris finish cast aluminum, verdigris finish cast brass.